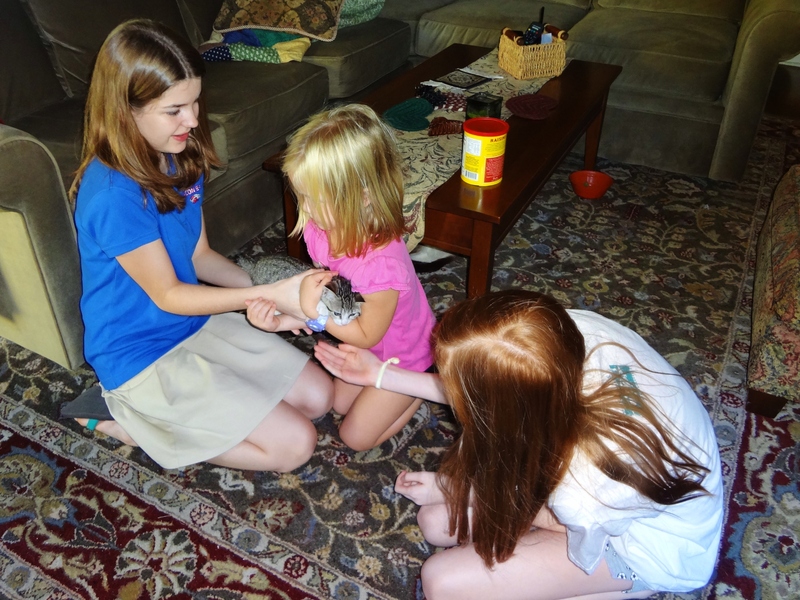 My neighbors have some beautiful granddaughters and they enjoy visiting my petting zoo on occasion. Last week I had three lovely ladies enjoy some foster kitten love. The tiny tot in pink is having reservations about these little sharp-clawed fur-balls! 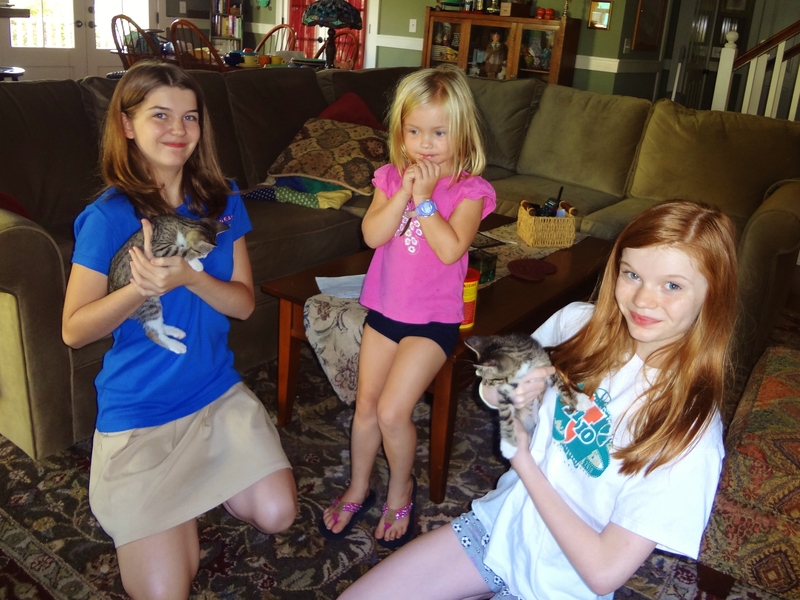 The young lady in Blue is my awesome new pet-sitter. Buster has decided that she’s one of his favorite peeps. She’s quite skilled at “raisin” time. “Little Bit” soon got over her nervousness and had some kitten kuddling of her own. You promise he won’t bite??? 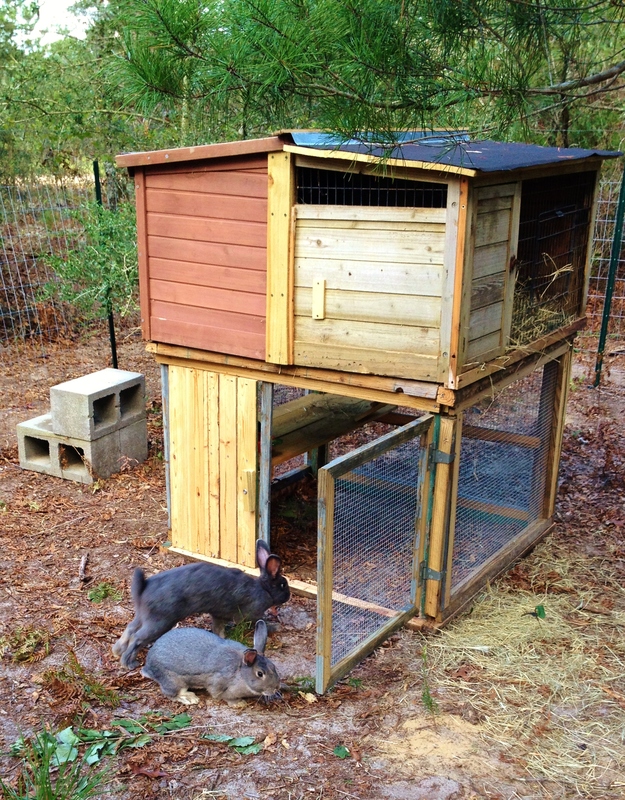 In Bunny news, Graycie and Manny have moved into their outdoor love nest. Their human mom, Mary has made them a comfortable hutch with soft ground underneath that they will soon “remodel” with burrows and tunnels. All bunnies would prefer to live outdoors if they had a safe habitat and a way to keep cool and warm during the extreme months of the year. 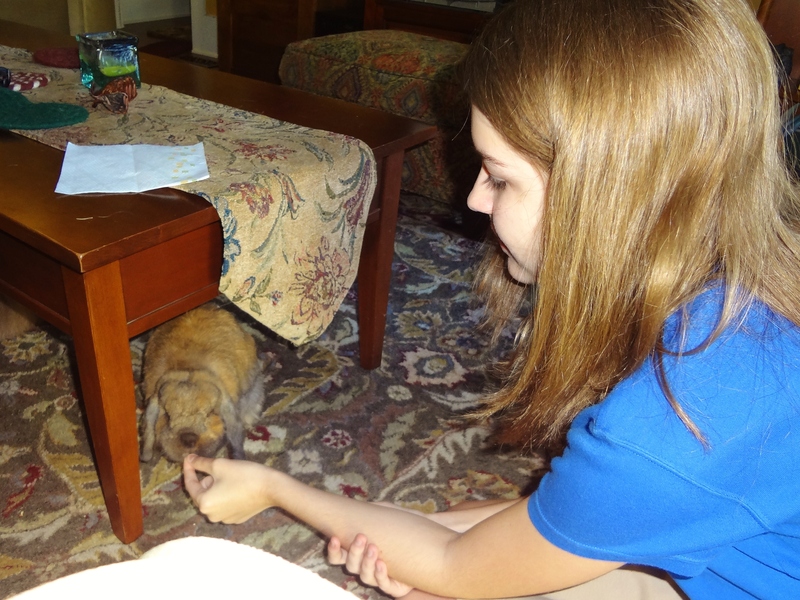 Yes, we keep Buster inside, but that’s because he has been raised as a “house rabbit” and he doesn’t have a mate, so he prefers to live with his human family in the comforts of a house. Graycie has plans for drapes and throw rugs to add a woman’s touch to her new bungalow. Actually most of the bunny houses have ‘curtains’ for shade 😎.